Joyce joined SPR in 2016 and has previously served as the Connecticut Director of Environment Northeast, now Acadia Center, where she acted as lead counsel on issues before the Public Utilities Regulatory Authority and focused on advancing policy and regulatory solutions to transform the energy system. She also served as the State Senate President’s designated environmental representative on the Connecticut Energy Advisory Board. Her work in Connecticut and in the Northeast advocated for expanded investment in cost-effective energy efficiency and working to protect and strengthen existing policy mechanisms to decarbonize the electric supply. 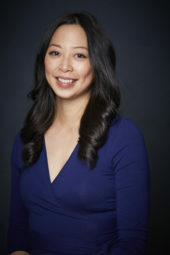 In addition, Joyce has extensive experience in intellectual property disputes and transactions, specifically relating to patents, trademarks, and copyrights, and has on numerous occasions been named one of New York’s Super Lawyers Rising Stars for Intellectual Property. During law school, Joyce was the president of the Carolina-Public Interest Law Organization and chair of the SBA Public Service Committee, was recognized as the UNC Pro Bono Program’s Student of the Year, and was elected to the James E. and Carolyn B. Davis Society, one of the most prestigious societies at Carolina Law, recognizing academic and personal excellence and a willingness to serve. New York Appellate Division, 2nd Dept.